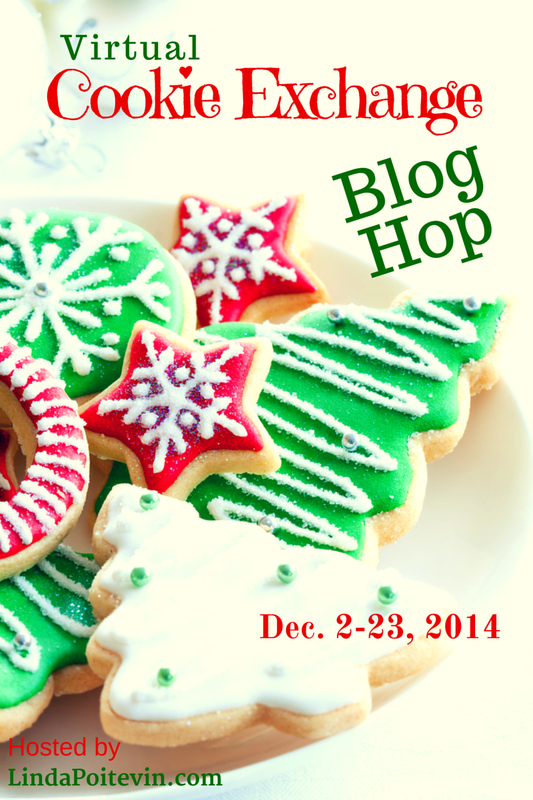 Virtual cookie exchange blog hop? Of course I said yes. That is, I said yes because the wonderful Charlotte Rains Dixon of Wordstrumpet was doing the asking. Charlotte’s an author, writing coach and teacher, among many other things. If you want to get to know her a little better, by all means listen to this interview I did with her right after her novel–Emma Jean’s Bad Behavior–was published. So there I was, having said yes to participating in a virtual cookie exchange. And feeling a little unsure what to write about beyond simply giving you a recipe. Then I remembered my grandmother. Or my grandmother’s hands to be more precise. The way they cupped the flour sifter. Balanced the measuring spoons just so. Deftly evened out the baking powder with a flick of the knife. My grandmother’s hands: stirring, kneading, cutting, frosting, sprinkling. Yes, my grandmother’s hands in the kitchen, baking cookies and cakes and pies and all sorts of other delicious treats. Her cooking was her art. Her kitchen her stage. As a small child I spent a lot of time in that kitchen and never tired of the chance to be both audience and sometimes helper. Okay, here’s the part where I tell you that when I got older, I sort of scoffed at all this. Why bother, I wondered? Why take so much time? Why make such a big deal out of it? I’ve written before about how it took me a long time to find my own groove and discover my own patience in the kitchen (and in life). And how the memory of my grandmother’s hands awakened me to the possibility that my own hands held a kind of deep, creative wisdom that my brain couldn’t quite fathom. Today we have actual research that shows handwork not only relieves stress but renews and replenishes you. The repetitive motion releases serotonin, and when both hands are moving together it’s like soothing rivers of joy and calm are coursing through your nervous system. My grandmother didn’t know about the research, of course. But she and zillions of other women knew this wisdom deep in their bones. Which is why I no longer scoff at things like cooking and baking and virtual cookie exchanges. Now, my ideal cookie exchange would be a small group of women gathering together to bake and talk and eat and laugh and create. Maybe that will happen sometime in the future. For now, though, I’m delighted to share this truly special brownie recipe with you. I know, a brownie isn’t quite a cookie, but at least a close cousin, don’t you think? I hope so, because once you try this recipe regular brownies will seem, I don’t know, somewhat lacking. You see, these brownies go far beyond simple chocolatey goodness to the realm of swoon-worthy chocolatey-caramel nirvana. Yes, there’s a delicious melted caramel embedded in each brownie! Sunset magazine ran this recipe a few years ago and I immediately fell in love with it. These brownies have made the rounds to parties and get-togethers, and nary a one has ever returned home with me. I mean, is that serendipity or what? When I decided to call on my grandmother’s inspiration for this post, I had no idea the brownies themselves originated with a grandmother. Since I’m fully embracing the virtual nature of this particular cookie exchange I’ve decided to give you a link: http://www.myrecipes.com/recipe/caramel-brownies. Finally, I’ve got one more bit of information to share. This recipe is, well, time-consuming and a bit complicated. Not to mention full of gluten. So I’ve got a pretty awesome shortcut: go to Trader Joe’s, buy a package of their Gluten-Free Brownie Mix and a container of their Fleur De Sel Caramels. Voila, almost as good as the real deal with a lot less time and effort. If you’re longing to connect with women in a deeper way and you’d love to regularly nourish and replenish your creative well, then the Women’s Creative Wisdom Circle 2015 is the perfect fit for you. And if you enjoyed this post you’ll love my e-letter. Get inspiration, tools and insights that are only for subscribers by signing up here. « You Are Cared About!